The AIRSCREEN Company is delighted to announce that it will be officially exhibiting at the Prolight + Sound Exhibition in Frankfurt from the 4th to the 7th of April 2017. A 40ft x 20ft (12m x 6m) AIRSCREEN inflatable movie screen will be on show at the Live Sound Arena (AG.0 C19/C21) for all visitors to admire. Anybody interested in the AIRSCREEN will have a great opportunity to see the screen live and up-close and talk to members of the AIRSCREEN team, who will be on hand to advise and answer any questions you may have. The Prolight + Sound exhibition is considered as the leading international trade fair for the event-technology sector and covers all products, trades and services. It is the international meeting point for exhibitors, purchasers and event organisers from all over the world. The AIRSCREEN Company looks forward to meeting and speaking to you and making your open-air movie dreams a reality. After the Olympic Stadium Baku (Azerbaijan) was completed in the spring of 2015 it was the venue for the European Games, where 6,000 athletes from 50 countries could compete in different disciplines. The stadium also meets the highest FIFA and UEFA standards and is the venue of preliminaries and quarter finals of the European Football Championship 2020. As a foretaste of the events to come the current soccer championships are shown on an inflatable movie screen. With over 68,000 seats comes almost automatically a fantastic atmosphere. In addition to sporting events various concerts will take place at the Olympic stadium and fill one of the most modern and beautiful stadiums with life. 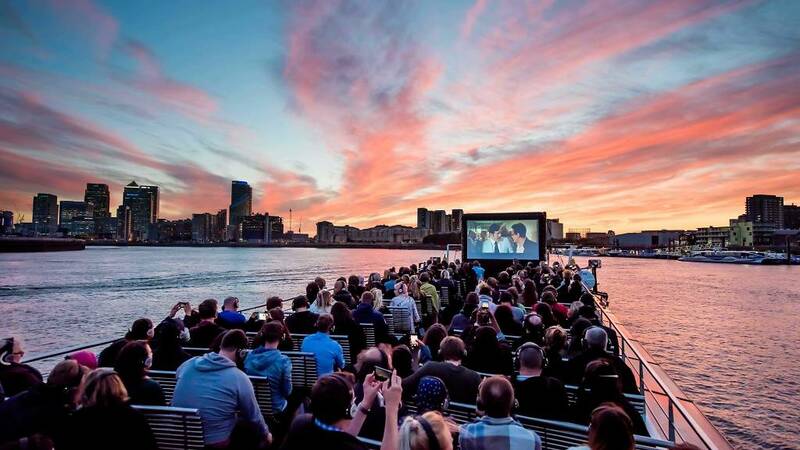 The London-based organisation Secret Cinema offers Live Cinema experiences. Movie fans can enjoy special movies in unique places, for example a life-size recreation of the 1950s Hill Valley town which we all know from „Back to the future”. 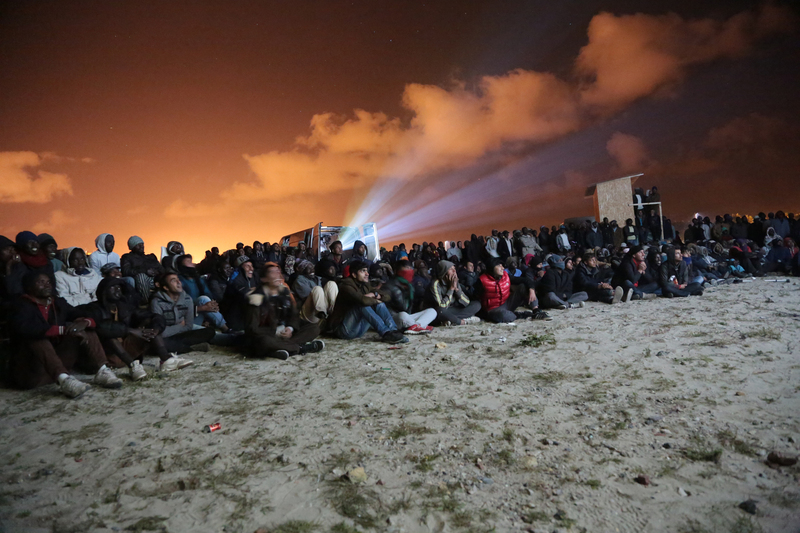 In September Secret Cinema hosted an outdoor movie night for refugees in Calais, France. For this purpose an inflatable movie screen was the perfect way to set up a movie night almost instantly. 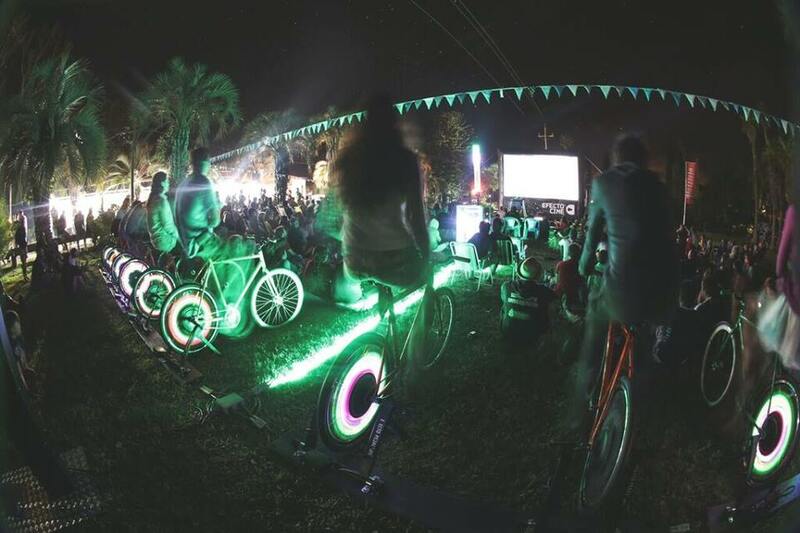 We already know the solar cinema and here comes another eco-friendly idea: bicycle powered pop-up cinema! 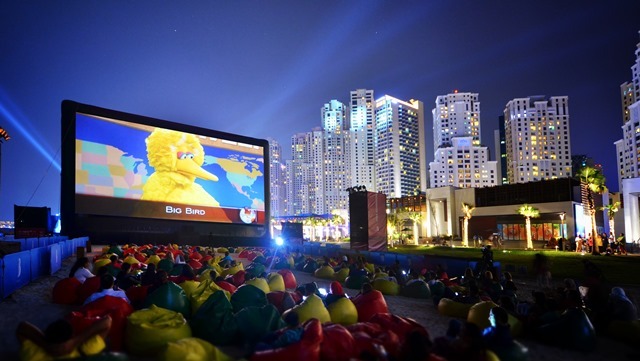 Through constant but relaxed pedaling people can generate the electricity for a whole outdoor cinema event, including the projector and the inflatable movie screen (AIRSCREEN). In 2013 the UK-based company Electric Pedals developed a pedal-powered cinema backpack kit which they used to show educational films. 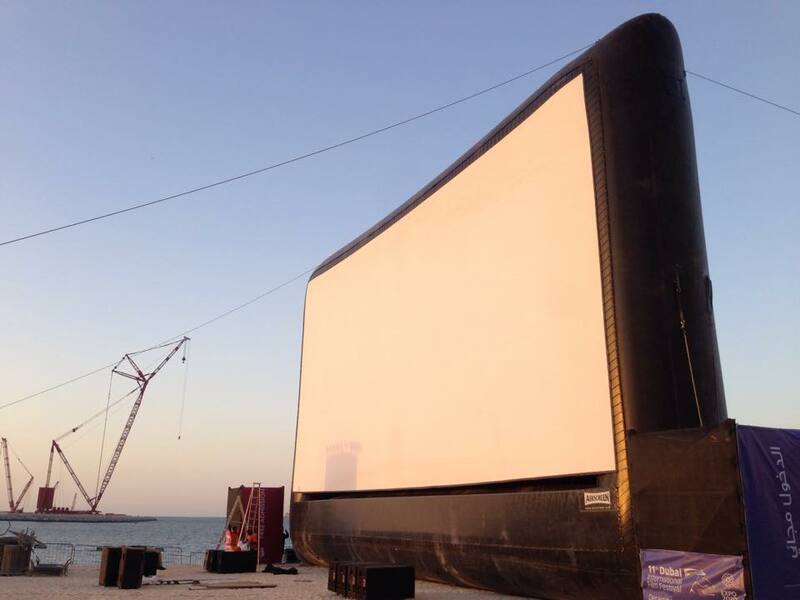 Nowadays there are 14 of these mobile cinemas around the world. 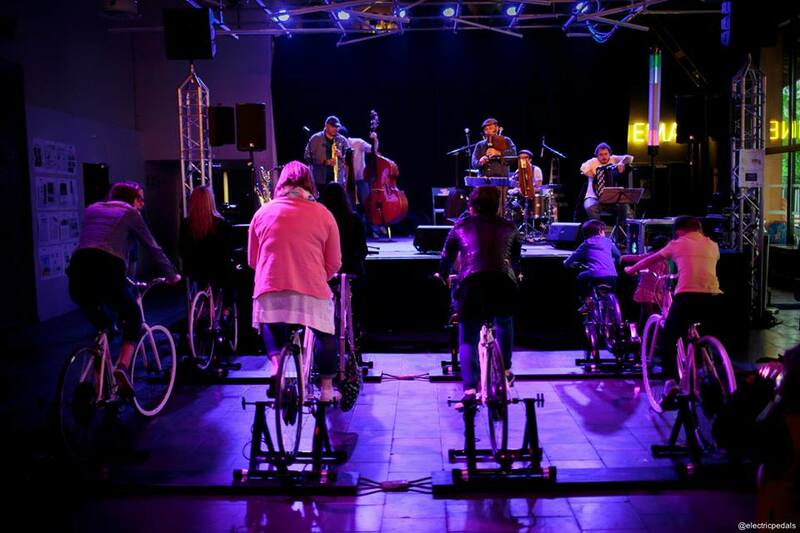 Apart from that the pedaling can also power music stages or light installations and is also used for workshops, art installations and even for illuminating Christmas trees. 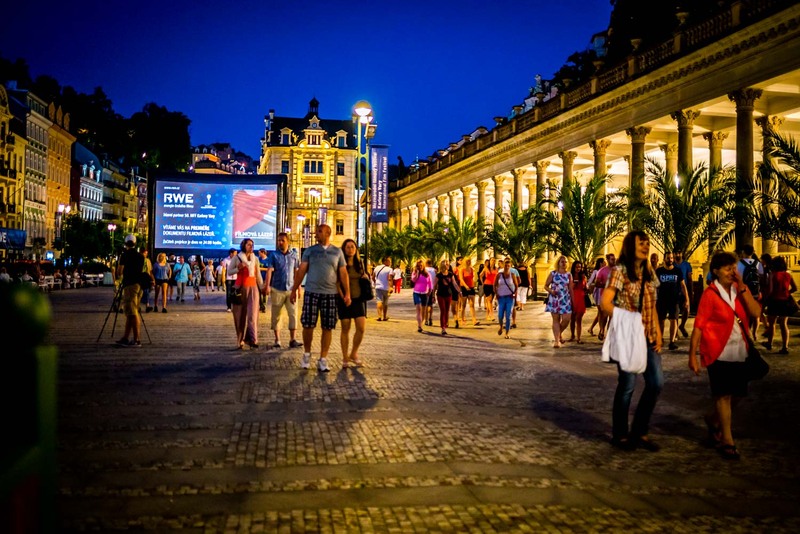 Every year in July the biggest Film Festival in the Czech Republic and probably the most prestigious Film Festival in Central and Eastern Europe – the Karlovy Vary International Film Festival (KVIFF) – takes place in Bohemian Carlsbad. 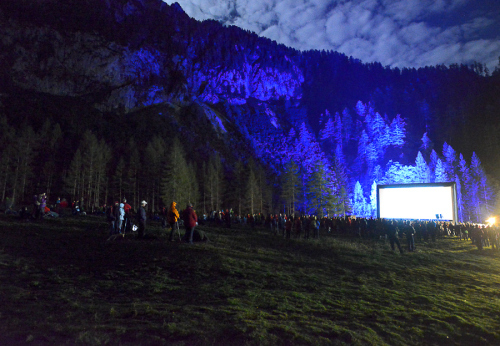 The 30′ x 17′ AIRSCREEN serves as the perfect alternative to traditional indoor cinema screenings. As measured by the tickets sold (120000) the KVIFF is a smaller festival but yet one of international class. It belongs to one of the oldest A-list film festivals, a category it shares with the festivals in Cannes, Berlin, Venice or Montreal. This year from 3 until 11 July the KVIFF celebrates its 50th anniversary. Some 200 films are presented, many of those only at the festival, while others make it in the Czech or even international distribution. Besides international and european film productions the focus lies especially on East European cinema. The Karlovy Vary International Film Festival is characterized by an imitable audience experience and has long maintained its reputation as an informal and cultural meeting point for numerous cinema experts and movie fans. 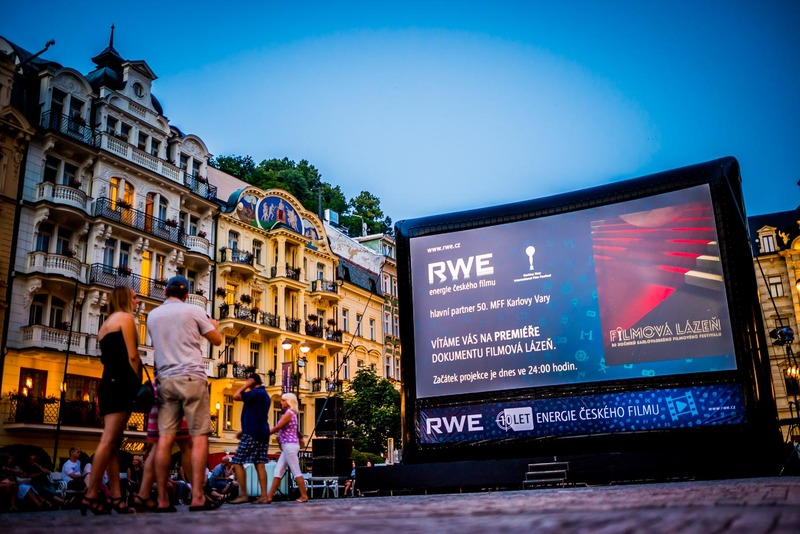 With AIRSCREEN the KVIFF is able to celebrate premieres under the stars in impressive city scenery, inviting everybody to join the festival in extraordinary places. 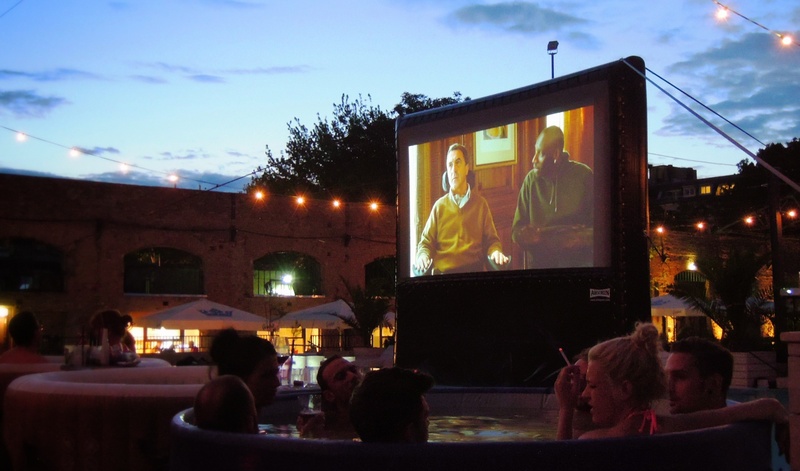 Enjoy outdoor movies in a hot tub! Imagine bathing in a hot tub while watching classic movies like Dirty Dancing or Pulp Fiction on an inflatable movie screen. That doesn’t sound fun enough? There are also waiters serving drinks directly to your tub as well as all kinds of snacks. This idea was born in 2006 by Asher Charman from the UK. He says: “Our guiding mantra here at Hot Tub Cinema is that we don’t just watch films, we celebrate them. We encourage our guests to dress up, sing, dance, drink, play and most of all enjoy their favorite films, alongside friends old and new.” Right now there are several locations in the UK and Hot Tub Cinema is also coming to New York and Ibiza. Guests can book a whole tub for up to six friends or can book tickets individually and share with others. 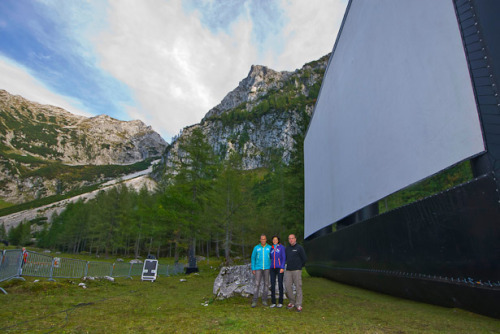 Just recently filmgoers in Germany also have the chance to enjoy this unique kind of cinema experience. 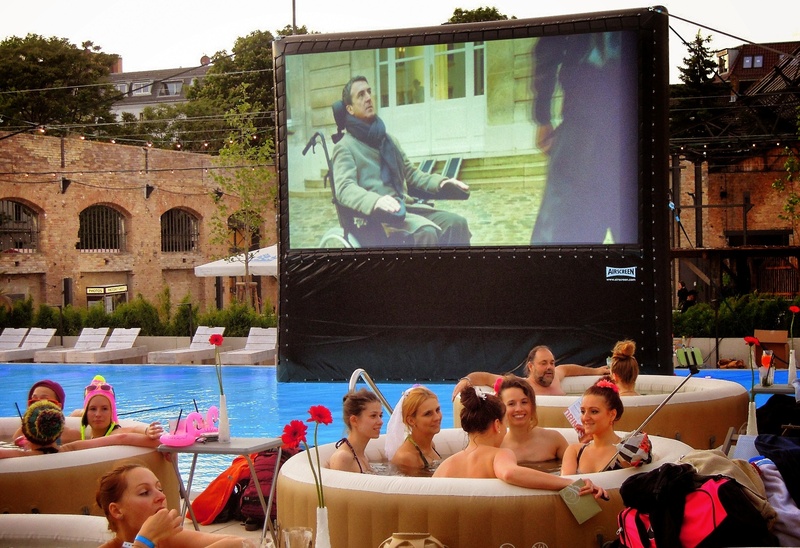 Whirlpool Cinema as well combines the twin pleasures of cinema and bathing. What are you waiting for? Make a splash and book your own bubbly Hot Tub enjoying cinema in style! 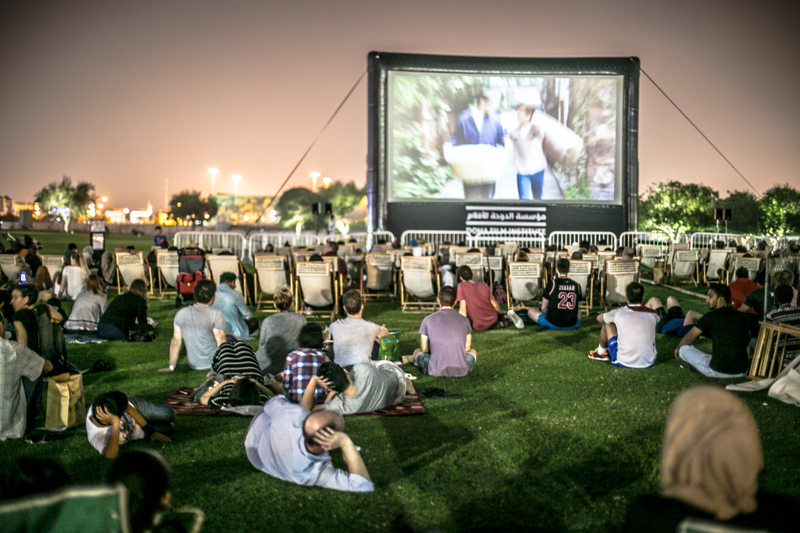 At the 11th Dubai International Film Festival (DIFF) 118 films were screened in 8 days, including 55 world premieres in 34 languages. As every year many regional and international stars graced the red carpet: Former Bond girl Olga Kurylenko, British actress Emily Blunt, US-star Virginia Madsen or Egyptian actor Nour El-Sherif, just to name a few. Furthermore, well-known actress Eva Longoria was hosting a benefit gala and DIFF awarded the legendary Indian singer Asha Bhosle with the lifetime achievement award. The first annual Baja International Film Festival took place in Cabo, Mexico. Many famous actors like Edward Norton, Virginia Madsen, Rachel Leigh Cook, Melissa Leo and Matt Dillon attended the Film Festival amongst others. The organisers were also honoured by the presence of the famous filmmaker and President of the Directors Guild of America Michael Apted and Mexican director Nicolas Echevarria. The first Orange Cinema Tour took place throughout the summer in seven cities across Moldova. 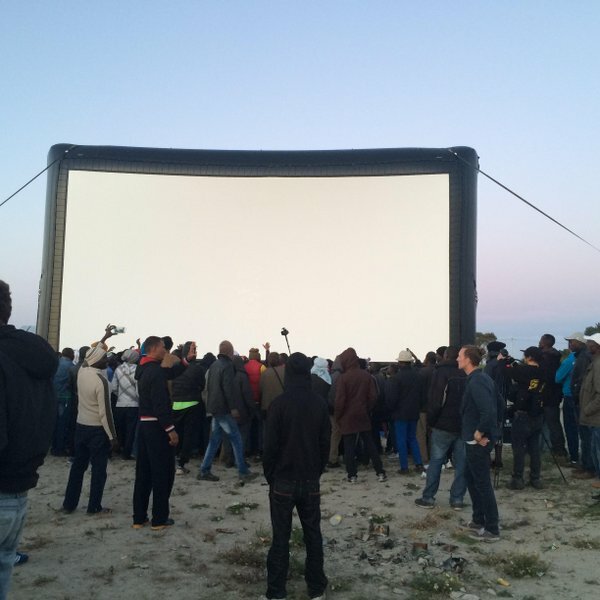 The event was organized by Orange Moldova and many spectators came to the open-air cinema screenings. Great French cinema classics starring Louis de Funès, Pierre Richard and others were shown on a 30’ x 17’ tall inflatable movie screen. All screenings were completely free. 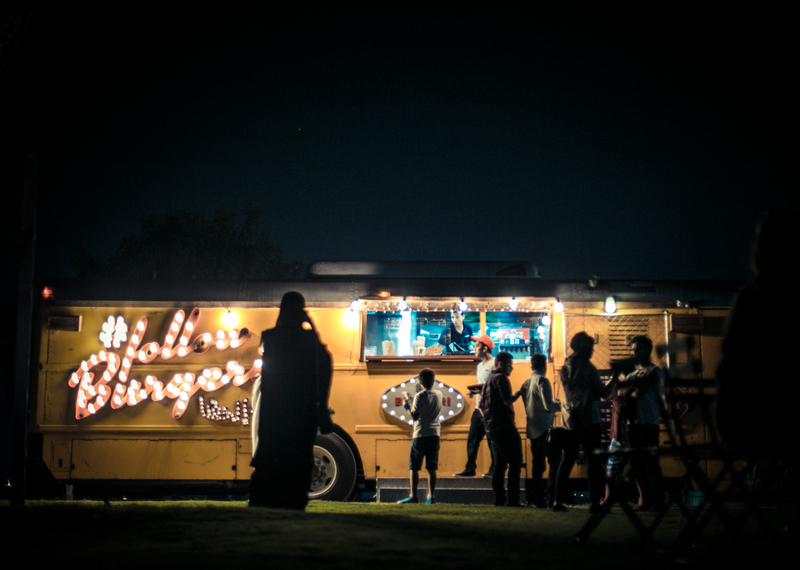 An enormous crowd of cinema enthusiasts spent a memorable time beneath the stars. Before the screenings, which began at nightfall, spectators were also kept entertained by various activities organized by Orange Moldova. 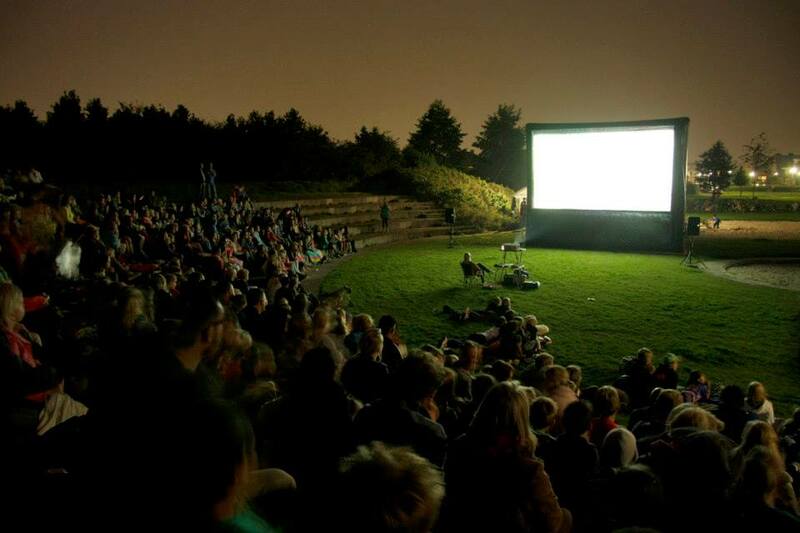 One of the world’s largest open-air cinemas has opened its doors in the Spanish capital of Madrid. The gigantic inflatable screen construction measuring an enormous 28m x 16m ensures that the best view is guaranteed in every seat in the house. 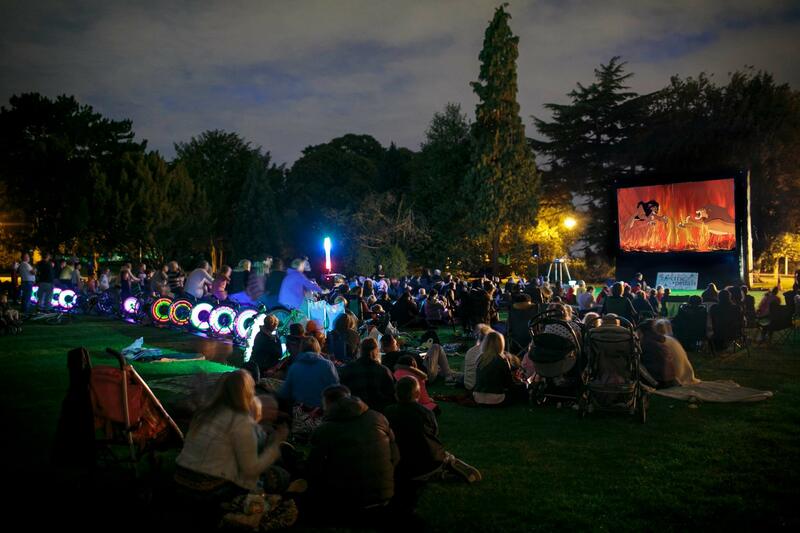 Whether it be current blockbusters such as Marvel’s ‘The Avengers’ or classics such as the ‘Godfather’, film-lovers are guaranteed a great show whatever the film. In the idyllic Parque Enrique Tierno Galván not only will you find great cinema, but also a number of musicians and bands who are also in attendance to ensure that post film, the party keeps on going. Food and drinks are also there in abundance. With all of that on offer what is there to stop you? 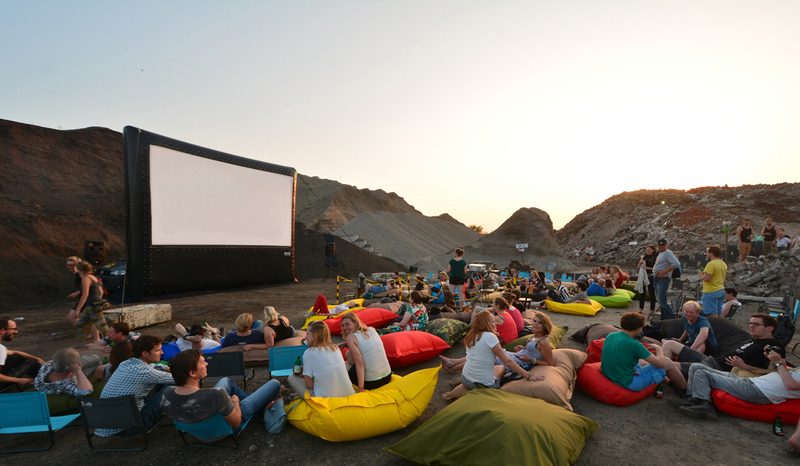 The Madrid open-air cinema is open until the start of August. Dokufest, The International Documentary and Short Film Festival, is Kosovo’s premier film festival. The Festival is organized in July in the picturesque and historical town of Prizren which attracts numerous international and regional artists.